West winds of 15 to 20 km/h will combine with temperatures near minus 30 to create extreme wind chills of minus 40 tonight. The extreme wind chills will continue into Saturday morning. 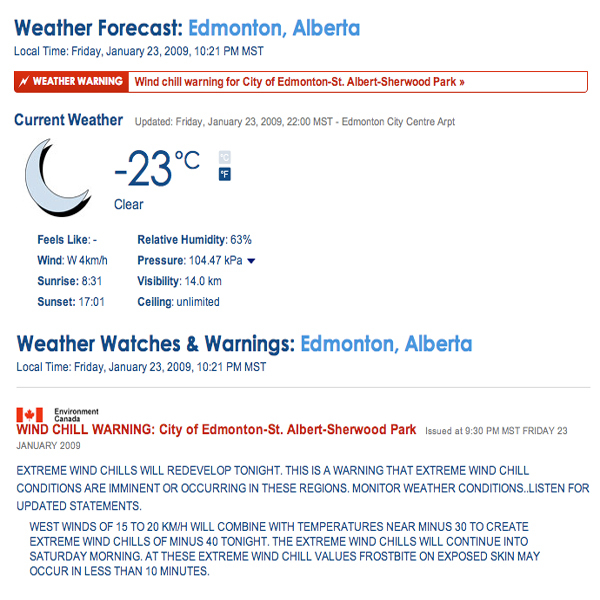 At these extreme wind chill values frostbite on exposed skin may occur in less than 10 minutes.